The Sinclair lineage can be traced back to Norway in the first millennium, through Normandy in France, where there are many places named for Saint Clair. The clan's name is thought to've been taken to Britain by a Norman family from Saint-Clair-sur-l'Elle near Saint-Lô. For details of Sinclair clan history, check our Origins page, or click here for the timeline on the Clan Sinclair UK website. In Canada, Sinclairs were among early traders, settlers and soldiers. The earliest known was Prince Henry, Jarl of Orkney. His landfall in Nova Scotia six hundred years ago has been identified from the detailed descriptions in letters written home by his Italian navigator, later published as the Zeno narrative. The Prince Henry Sinclair Memorial in Guysborough NS commemorates this visit. Many Canadians have a strong awareness of our country's Scottish heritage. Highland games are popular summer events, there are Highland and Scottish Country dancers across Canada, and children of every background learn the sound of the pipes in local parades. However, Clan Sinclair had no national organization until the 1970's. ​The Clan Sinclair Association of Canada was founded in 1972 by Dr. E.G. "Eddie" Sinclair and his wife Roselma of Deep River and later Norwood, Ontario (below left). 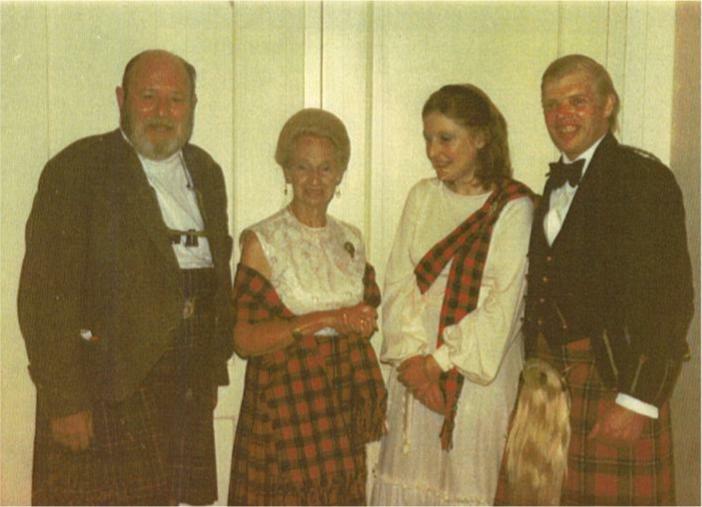 Their family had hosted meetings for about ten years before that, and Roselma's multi-carboned typewritten letters to friends and family had become the first newsletter, but Eddie felt the time was right to advertise for members when the First Scottish World Festival was held in Toronto in that year. Read their brief autobiography here. Also present at this important Sinclair Gathering were brothers Jack and Bill Sinclair from Nova Scotia who, along with their brother Harold, have been stalwart assets to the Clan Sinclair Association ever since. In 1982, Eddie retired from the presidency of the Association and his position was ably taken up by R. Malcolm "Mac" Sinclair of Kingston Ontario. From a base of about 20 families in 1982, CSAC membership had increased to over 200 families by 1995 when Mac retired from active leadership in the Association. Mac also took over as Editor of the newsletter, now a quarterly of superior editorial content which he wrote, produced, and distributed for 14 years. 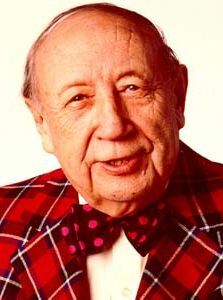 The first Honourary President of the Clan Sinclair Association of Canada was writer and broadcaster Gordon Sinclair (1900-1984). Mac Sinclair was appointed after his retirement from the national executive, and the current Honourary President is Jack Sinclair. ​As before, the Association continues to thrive on the energy of a few dedicated souls and the financial support of its enthusiastic members. To mark the 600th anniversary of Prince Henry's Landfall in Nova Scotia, CSAC and the Clan Sinclair Society of Nova Scotia sponsored and developed a highly elaborate and successful celebration in Guysborough, Nova Scotia. The memorial in Boylston Park overlooking the ocean is a popular tourist attraction today. In September of 2000, Italian yachtswoman Laura Zolo made landfall at Guysborough, after re-tracing Prince Henry's 1398 voyage from Orkney. In conjunction with this visit, our Clan chief presented a Millennium "Sword of Peace" to the Mi'kmaq Nation in a ceremony at the Prince Henry Memorial. The various branches of Clan Sinclair Canada host regular Gatherings. An annual Winter Gathering, traditionally on the last weekend in February, is hosted in Toronto by the Ontario Division. Every four years since 1979, the Nova Scotia branch has hosted a major Gathering in the summertime to coincide with the Tattoo and Nova Scotia's quadrennial International Gathering of the Clans. Clan Sinclair Association (Western Canada), founded in 2002, hosts an annual Spring Gathering on the weekend near Tartan Day, April 6th, alternating between Vancouver Island and BC's Lower Mainland. CSAC members delight in attending Gatherings of other Clan Sinclair groups, especially those of our sister organization, Clan Sinclair USA. There are also Gatherings of the worldwide Clan Sinclair. In July of 2000, 35 members of Clan Sinclair Association Canada attended the Millennium Clan Gathering in Scotland. Over 200 clansfolk marched on at the Halkirk Games. This was the beginning of regular major gatherings of the worldwide clan, scheduled every five years, with Mini Gatherings between. The 2005 Gathering was another resounding success — as was the 2010 Gathering.